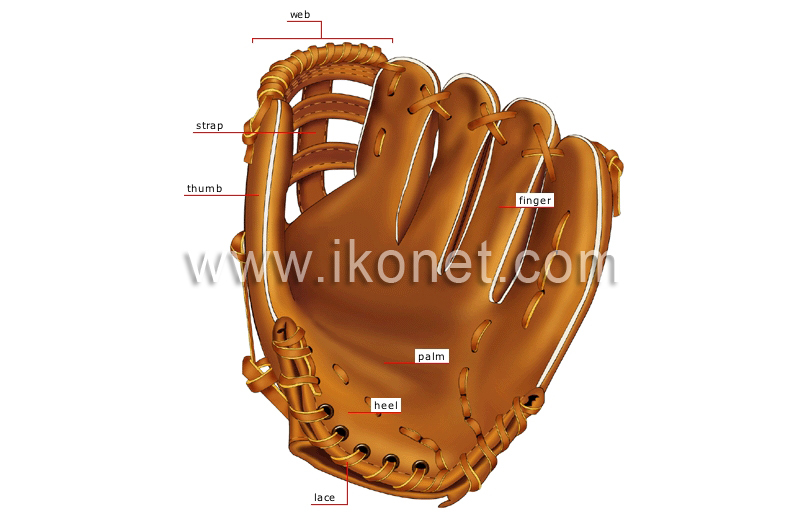 Piece of leather covering the hand and wrist and varying in size and shape, depending on the player’s position; it is used to catch the ball. Part of the glove covering the thumb. The intersecting leather straps that make up the web. Part of the glove between the thumb and the index finger; it forms a small pocket in which the ball is caught. The bottom part of the glove. Narrow cord passed through the eyelets to join or tighten the parts of the glove.